You have finally decided to move, but there is a huge hurdle ahead of you and that’s packing your belongings. It is an extremely stressful task, and your long working hours don’t help either. You wish you could just delay the packing as much as possible, and then do the last minute rush-up, but is it going to help? No! On the contrary you will end up damaging many of your belongings. This could include crockery, glassware, etc. Moreover, you will mismanage everything. So what should you really do? 1) Room by room: Take it easy and relax. Everyone has a lot of belongings and there is no reason to stress out. Take one room at a time and pack your stuff. Don’t create a clutter by trying to pack everything at once. If you go room by room, packing will be a lot easier and you’ll know what you need to carry with you and what you don’t. Besides, you can always sell off what you don’t need. 2) Labeling: Label all your boxes and write about its contents very clearly. You could also write to which room the contents belong to and about the items that the box contains. You can use different colours for different rooms to make each of them stand out and easy for a better understanding and clarity. 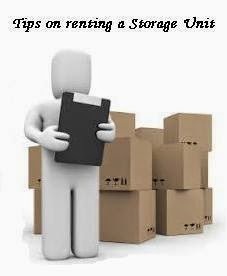 3) Carry things important to you by yourself: Make sure you don’t pack things like important papers, legal documents, important hereditary items, etc. These items should be carried personally. 4) Dangerous items: Avoid packing dangerous items like gas stove, electrical equipment, etc. on your own. Let the professionals handle and pack them as they have an experience of packing and transporting such items. The results can be hazardous if you do not how to go about. These are some of the packing tips that you must follow. Ideally, you can take help of professional packers & movers right from the beginning, if you are clueless about packing stuff on your own. Remember, the more organized and systematic you will be in packing the easier it will be for you to unpack.